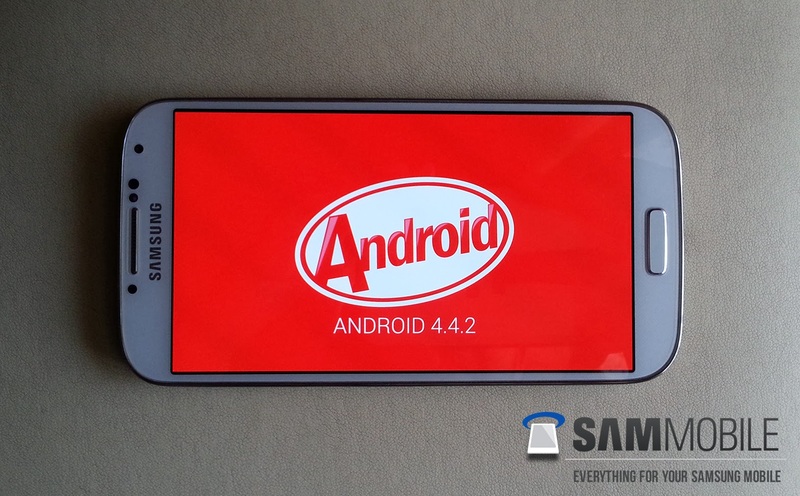 Most Samsung Galaxy S4 owners will be very happy to hear about this yet-to-be confirmed rumor that Samsung is almost in complete stage on its Android 4.4 Kitkat firmware updates for its Galaxy S4 smartphones, Sammobile reported. This website claims to have received a test firmware, I9505XXUFNA1, from their "elite friends" for the current Samsung flagship smartphone Galaxy S4 and that they have been playing around with it for several days now. Are you excited? Sammobile added that the firmware they got is "pretty stable" based on their usage although there are some hiccups they experienced which is expected since it is not the final version yet. If you have heard about Samsung's new PRO line of Galaxy devices which are sporting Android Kitkat, then you may have already noticed that Samsung has tweaked the Kitkat heavily and one of the major customizations you can notice in these devices is that they all have Magazine UX. This is a default microsoft-tile-like icons on the homepage. Although rumors do not suggest Samsung will also put it in the updates for the current devices, it is still a possibility. The Magazine UX is also expected to be showcased in the upcoming Galaxy S5. Reports suggest that the Kitkat update for Galaxy S4 is expected to be rolled out in February or March. Not only that, some also say that Galaxy Note 3 device may also get the sweetest treat to date. There is another good news for this Galaxy S4 Kitkat OS, Sammobile posted a link on their post about this report, a link to download the firmware they've got. If you are brave enough to download and try it and if you don't care about the risks it may entail, simply visit the link I just provided and download it from there. On that same post you can also see screenshots of the said Android Kitkat. any UPDATE about this UPDATE? parang wala pa rin ah?